=A confidential chat with one of our unbiased advisors could help make life’s difficult decisions a little bit easier to make. Anyone in the industry is able to make use of our Advice Line service; whether you’re brand new to the industry or been in it for a while; an HR or a CEO. If you’d like help with any of the above or similar, give us a call on 0800 707 6607 between 9am – 5.30pm or email [email protected] for tailored advice and guidance, whatever your level or experience. We will respond to all calls and emails within 24 hours. We are committed to protecting and respecting your privacy. Read our privacy and confidentiality policy here. 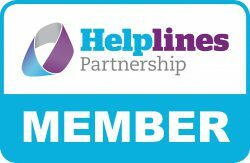 Helplines Partnership (HLP) is the membership body for organisations that provide helpline services in the UK and internationally. NABS is an HLP member subscriber. Offer support, advice and information to children, young people and adults when someone dies. Exist to meet the needs and overcome the isolation experienced by people over 18 who have been bereaved by suicide. Offers support to anyone affected by the death of a child of any age, under any circumstances, however recent or long ago. Supports families and educates professionals when a baby or child of any age dies or is dying, or when a child is facing bereavement. Provide expert, tailored advice and practical solutions to problem debt. A specialist debt charity offering free, confidential advice on any aspect of debt. Provide free, independent, confidential and impartial advice to everyone on their rights and responsibilities. Cover advice and information on managing your money including debts, borrowing, pensions, loans, insurance etc. They hold the largest database of FCA approved financial and mortgage advisers in the UK. Connecting millions to great advice, Unbiased is the leading advice marketplace in the UK. The best place to find government services and information. Information on how to take court action against someone if they owe you money and won’t pay you back. Helps millions of people every year struggling with bad housing or homelessness through our advice, support and legal services. Including advice and information on how to manage mortgage or rent arrears and prevent repossession or eviction. Information and advice on anything from health to housing. Provide independent advice and information including how you can use your home to generate income. Offer free and impartial guidance to people with workplace and personal pensions. Free and impartial government guidance to help you understand what you can do with your pension pot. A national service for women experiencing domestic violence, their family, friends, colleagues and others calling on their behalf. Run by Women’s Aid and Refuge. Working together to provide life-saving services and build a future where domestic violence is not tolerated. Providing support and expert guidance to survivors, their friends and families and professionals about domestic abuse. Provide people with the best possible help to solve their housing problems. Help and support for male victims of domestic violence. Run by Respect. Keeping victims safe by working with perpetrators. 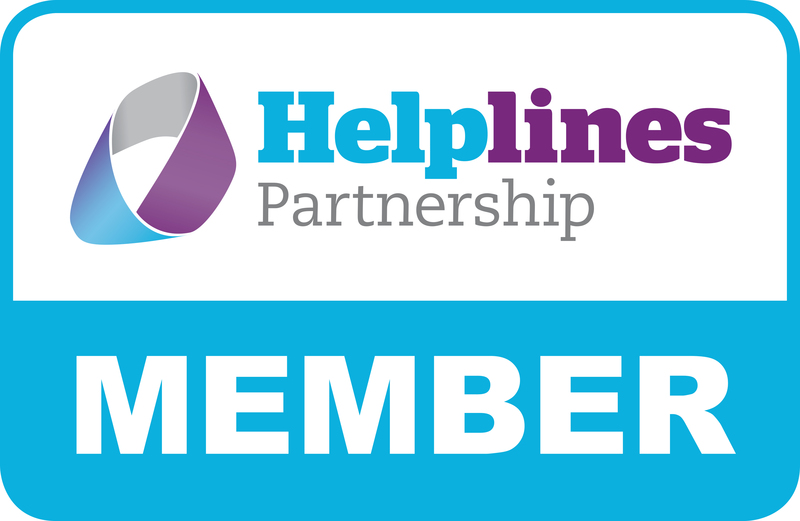 UK membership organisation for work with domestic violence perpetrators, male victims and young people. Provide free, independent, confidential and impartial advice to everyone on their rights and responsibilities. Including information on renting, buying, mortgages, problem neighbours and equity release. Their goal is a better life for everyone affected by mental illness. Providing information about local support groups, advice lines, housing issues, therapy and so on. Provides information about local support services along with tips on how to manage a mental health problem. Growing movement to transform how we all think and act about mental health problems. Provides information on support organisations. Believe that if men felt able to ask for and find help when they need it then hundreds of male suicides could be prevented. Sane work to improve quality of life for anyone affected by mental illness. Contact Samaritans, in your own way and off the record, about whatever’s getting to you. Meditation made simple. Applies mindfulness and meditation on the go. For Mental Wellbeing. People with mental health issues have the right and the abilities to lead independent, fulfilling lives as part of their communities. Provide a wide range of mental health services. A public record of therapists who have met our standards for registration. Offer free, confidential, accurate and consistent information and advice to callers who are concerned about their own or someone else`s drinking regardless of the caller`s age, gender, sexuality, ethnicity or spirituality. A fellowship of men and women who share their experience, strength and hope with each other that they may solve their common problem and help others to recover from alcoholism. Its “12-step” programme involves getting sober with the help of regular support groups. Offer support and understanding to the families and friends of problem drinkers, whether they’re still drinking or not. Work with families affected by drugs and alcohol. They operate an online message board and database of local support groups. Run a free helpline and provide a lifeline of safe, caring and professional support to families, friends and carers who are struggling to cope with the nightmare of a loved one’s addiction to drugs or alcohol. Help individuals, families and communities throughout the UK to manage the effects of drug and alcohol misuse. They support people to make lasting change in their lives. Help the family and friends of people with a current, suspected or former drug problem by providing mutual support and offer a forum where experiences and anxieties can be shared. Offer a range of services to help you with your couple and family relationships, whether you’re young or old, straight or gay, single or in a relationship. If a couple are separating, Relate helps the process to be as smooth as possible. Free and impartial money advice, set up by government. They have a specific page about managing your finances if you’ve been co-habiting and are now separating. A national online support and signposting service for parents who are going through or been through separation/divorce. They offer access to a Free Legal Panel along with plenty of other supporting information about many issues facing single Mums. A national online support and signposting service for parents who are going through or been through separation/divorce. They offer access to a Free Legal Panel along with plenty of other supporting information about many issues facing single Dads. Helps millions of people every year struggling with bad housing or homelessness through their advice, support and legal services. The best way to support families is to provide professional, non-judgmental support and advice in a way that all members of the family can freely access. They offer support on a breadth of family matters, including divorce/separation. Make sure children get the right support. They provide advice on talking about difficult topics including separation and divorce. Committed to improving the emotional wellbeing and mental health of children and young people. They provide information about the effect of separation and divorce on children and how to manage it, along with a Helpline for parents. Find a Solicitor is a free service for anyone looking for information about organisations or people providing legal services in England and Wales that are regulated by the Solicitors Regulation Authority (SRA).